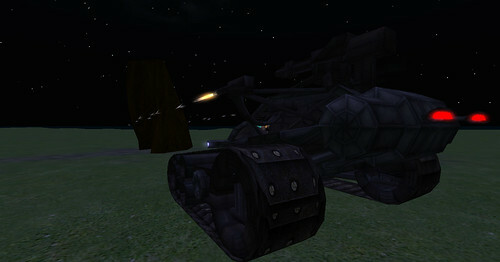 Okay, so the vehicle that I mentioned needs pictures. 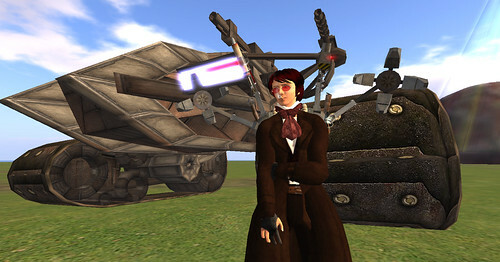 That’s the Carmageddon Tank from L+N Signature Designs; I am standing smugly by it in the Hunt outfit from Cosmic Stream Designs and the Deconstructor part of The Machine from Radeon Automatic. 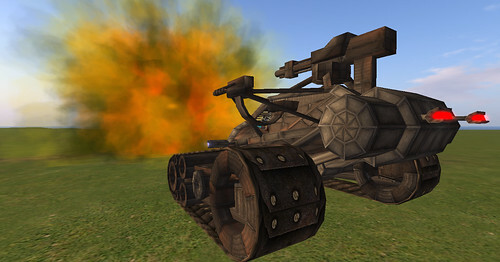 … and showing off the cannon, boom! 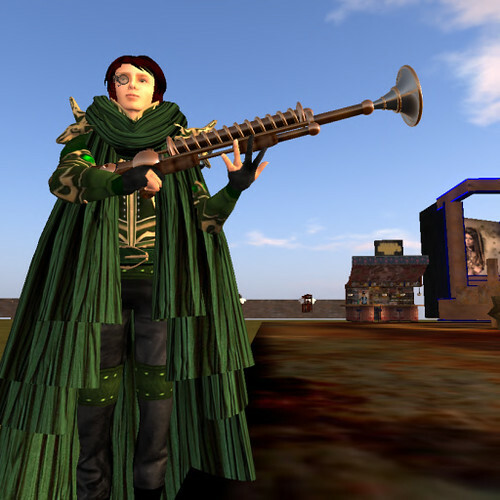 … and the machine guns (in the dark) pocketa-pocketa! 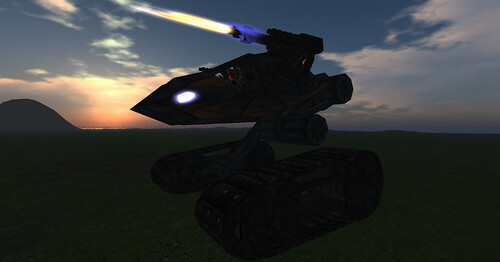 … and rises up on its mechanical haunches for driving over lesser things in the twilight. 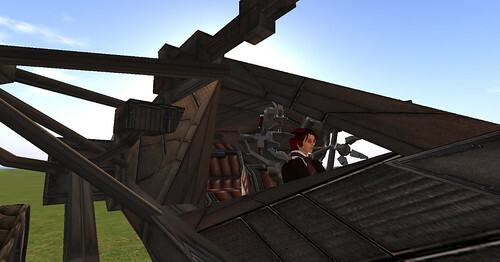 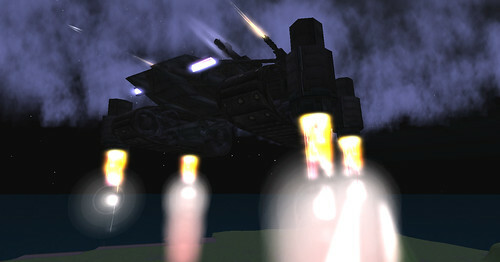 It also leaps up into the air (all of this controlled by buttons on a not overly huge HUD), but I’m not up to a video. 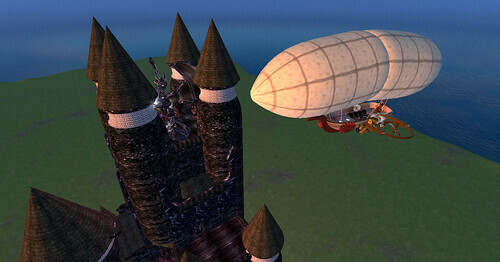 A cursed tower and a Cloudrider airship, both nice and free, and if they are a bit old-SL in style well that’s nice and nostalgic. 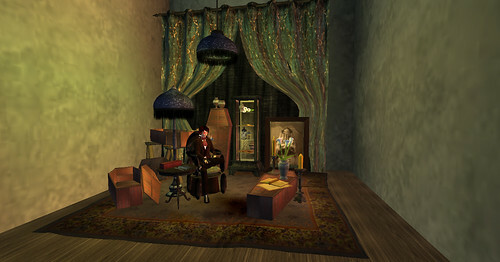 This one the Royal Thai Gallery (a lovely build, although I had some trouble figuring out just what they were selling, or displaying, where), but in general a delight of this hunt is the wide variety of places, all vaguely tied together by some variously fictionalized notions of Victoriana and technology and adventure. 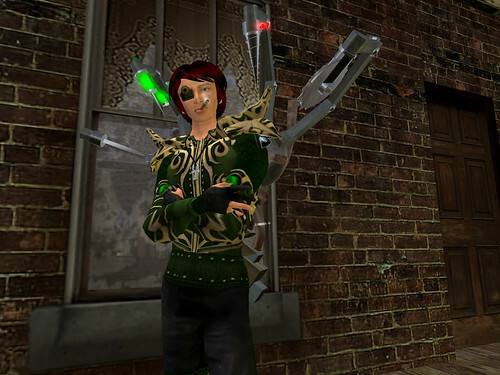 Lots of things not directly in the Hunt, but still good finds. 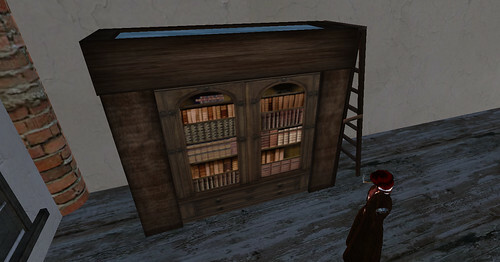 I’m always looking for more (cheap) bookcases in SL, and this Bookcase Loft from S&S Clockworks was a mere 4L! 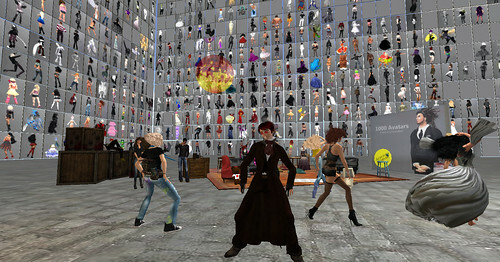 Shortly after that, as I was vaguely considering trying to get back to the Rise cross-country from wherever I ended up, I noticed it was time for the Pre-release Party for 1000+ Avatars, Volume 2.